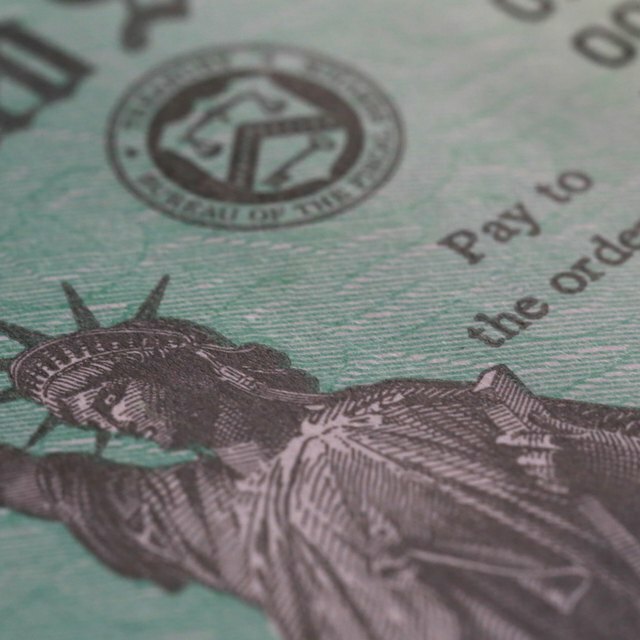 U.S. Government bonds, also known as U.S. Treasuries, are a secure way to save and invest. These bonds are backed with a guarantee of payment by the federal government. The market is enormous, with over $12 trillion in outstanding bonds. You can buy them directly from the government, from other investors or through a mutual fund. The government regularly sells Treasury securities via public auctions. Treasury securities include bonds, bills and notes. Strictly speaking, a government bond refers to a security maturing in 10 or more years. Notes mature in two to 10 years, while bills are issued with a maturity of 52 weeks or less. In an auction, large institutional players, such as mutual funds or foreign governments, place bids for Treasury securities, with the most competitive bids receiving securities at auction. As an individual investor, you can set up an account directly with the Treasury to participate in these auctions as well. As a "non-competitive" buyer, you can't set the price of the auctions, but you will receive the same price as all market participants. After Treasury securities are sold at auction, they enter the secondary market, where they are bought and sold by other investors. Since the government market is so large, you'll find a wide assortment of Treasury securities to buy. If you contact your broker, you can ask to buy nearly any type of Treasury security you'd like. Unlike securities sold at auction, which are commission-free, you'll typically have to pay your broker a fee to buy a security on your behalf. If you're not interested in owning individual Treasury securities, you can buy a U.S. Government bond fund and let a professional manage your investment for you. A mutual fund is a pool of money contributed by investors and used by professional money managers to buy and sell securities according to a specified strategy. If you invest in a mutual fund, you own a percentage of that pool and participate in the growth and earnings of the fund. All earnings from the bonds in the fund are distributed to investors, and the value of a share goes up and down with the price of the underlying bonds. The cost of government bond funds can vary dramatically, with some charging much higher fees than others, so you'll have to shop around to find the best combination of cost and value. Many funds with "government bond" in their name are allowed to invest in a wide variety of securities, including foreign bonds and even stocks. Review the information about a fund closely before you buy it to ensure you get the type of fund you want.